Theron is a free resume template, with a blue horizontal ribbon. 2-column structure layout with a header on a white background. 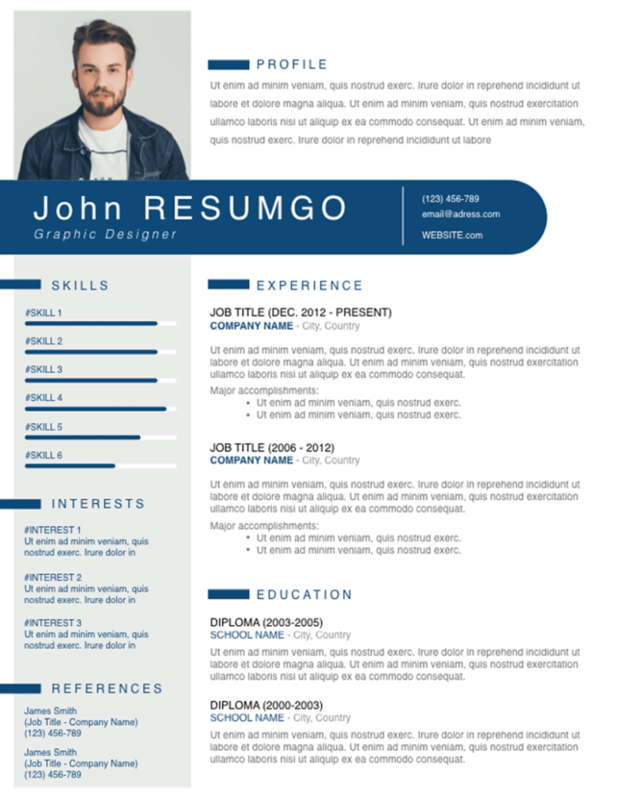 Well-balanced and efficient CV template. The left sidebar, with a subtle grayish background, embed your skills, interests, and references. The main right side of the template presents your professional experience and education.